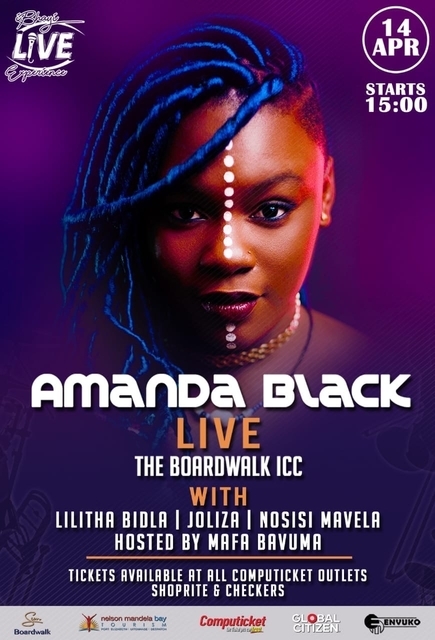 The first instalment of #IBhayiLiveExperience will see Mthatha born, and platinum-selling artist, Amanda Black coming home to share the stage with: SATMA nominee and one of EC’s fastest rising stars, Lilitha Bidla; Internationally recognized artist – who has shared a stage with some of the biggest names in the industry, including Stompie Mavi and Gloria Bosman – Nosisi Mavela. Joining them is Joliza, a PE based artist who won a talent search competition for the event. The event takes place at 15h00 on 14 April 2019. Tickets are priced from R200 per person at Computicket. Tickets to the event range from R200 – R400 and are available through Computicket.